In the recent past, Meerut has proven to be a lucky charm of sorts, at least for the Narendra Modi and Amit Shah-led Bharatiya Janata Party. 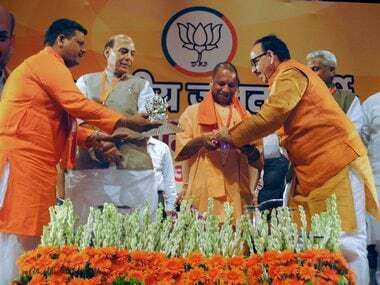 Be it the Uttar Pradesh Legislative Assembly elections of 2017 or the Lok Sabha Elections of 2014, the saffron party has tasted victory in the city. Counting on keeping the winning streak intact, the party has started its preparations for the 2019 parliamentary elections from Meerut instead of the state's capital city and seat of politics, Lucknow. The BJP is holding a two-day-long meeting of its working committee at the Subharti Medical College in Meerut. The dignitaries present included home minister Rajnath Singh, Uttar Pradesh chief minister Yogi Adityanath and deputy chief minister Dinesh Sharma, amid others. Party national president Amit Shah is also expected to join the event on Sunday, 12 August, while Adityanath will camp in Meerut on Saturday and will leave for Lucknow after attending the second day of the session. This two-day high-level meet will focus on the strategy for the 2019 Lok Sabha elections. "We are confident that the path of the party's victory in 2019 will once again travel from the state of Uttar Pradesh," Rajnath said while addressing his party members. Rajnath also took a dig on Congress president Rahul Gandhi over his controversial hug and wink on the floor of Parliament, in the recently concluded Monsoon Session. "Rahul Gandhi's hug in the Parliament is just like Chipko Movement. A person who cannot maintain Parliament’s dignity dreams of becoming the prime minister of India. Since people love Prime Minister Modi so much, it is quite possible that even he (Rahul) may be trying to express his love and affection in this way. But the Congress party lost face in the lower House because of this," Rajnath said. Further hitting out at Congress' 'dynastic politics', Rajnath said, "Bhartiya Janta Party is not a family based political party. Our party people only want respect and honour and they work for it." Further in his speech, the home minister spoke about the fight against terrorism and militancy. He said, "In the North East, militancy is almost on the verge of extinction. Very soon, the area will be violence-free and peaceful. Moreover, the number of people taking up arms against the State has also drastically gone down. Our government has given a free hand to security forces for all operations." Speaking about development under the Adityanath-led government, Rajnath said, "Ever since the formation of the BJP government in the state, Yogi Adityanath has induced terror in criminals and anti-social elements." Adityanath also recounted the development work done under the state and central governments. 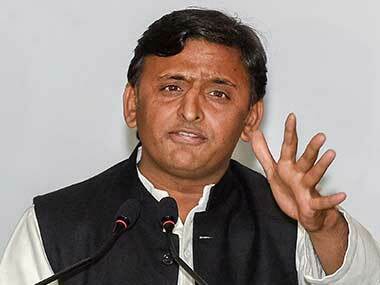 He said, "Investment worth Rs 60 thousand crores in various development projects is now a ground reality. Further investment to the tune of Rs 50,000 crores is also in pipeline. Power distribution and rural electrification schemes launched by the Centre are being implemented in the state." Speaking on the Opposition's claims about the BJP being anti-Dalit, Adityanath said, "Our government is not anti-Dalit. Those who call us anti-Dalit, I want to ask them as to why Dalits were not given benefits of government schemes in the past. 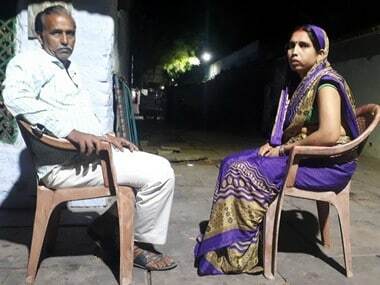 Why are Dalits not getting the benefit of reservation in Aligarh Muslim University?" He added that after the formation of the BJP government in the state, there has been record-breaking development, especially under Prime Minister Urban Housing Scheme, Ujjwala Scheme and rural electrification scheme. The development pitch at the convention was a sign that the party is readying for the Lok Sabha polls due next year. And choosing Meerut as the ground for the launch of extensive poll preparations was a significant choice that the party made. It is noteworthy that the Modi–Shah magic worked wonders in the 2017 Assembly election. In a clean sweep, the party won an overwhelming three-quarter majority with 325 seats, with the help of its large number of foot soldiers. The win was significant because the BJP contested without a chief ministerial face and capitalised mostly on the political clout of brand Modi. 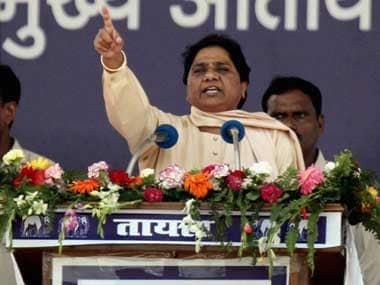 In 2014 Lok Sabha polls, out of the total 80 seats from Uttar Pradesh, the BJP won 71, of which 19 seats were from western Uttar Pradesh, where the BJP had failed to leave a prominent mark in the past few elections. These included Gautam Budh Nagar, Ghaziabad, Meerut, Muzaffarnagar, Saharanpur, Bijnor, Nagina, Moradabad, Kairana, Amroha, Baghpat, Bulandshahr, Aligarh, Hathras and Agra. In both these elections, there have been a few similarities. First, the party started its election campaign by organising a rally in Meerut and focusing explicitly on strengthening its position in western Uttar Pradesh. The second similarity (or perhaps a coincidence) was that the first phase of polling in the state started from parts of western UP. The party claimed that the winning baton took off from the west and rested in the east, thus helping the BJP form a majority government, both in the Centre and in the state. Moreover, before becoming the prime minister of India, Narendra Modi addressed his first political rally in Meerut way back in February 2014. In 2017, he again addressed a rally in the district. A popular saying in Delhi's power corridors is that the road to power goes through Uttar Pradesh. Since the BJP is eyeing a third clean sweep from an electoral battle in the state, it has decided to start its journey from Meerut. The author is a Meerut-based freelance writer and member of 101Reporters.com.